Welcome to the latest installment of our brand new series Mum vs Life. 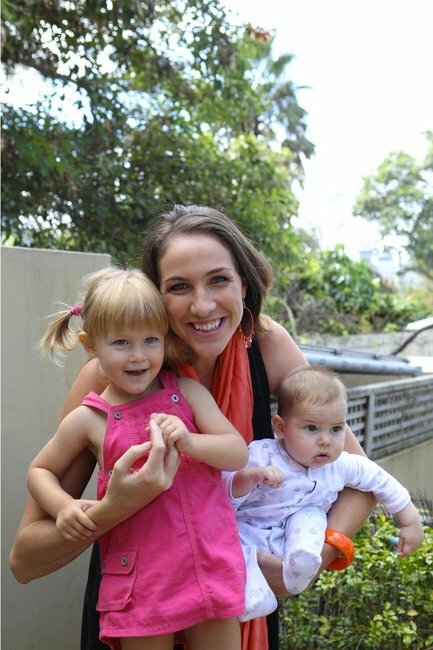 Each week we&apos;ll feature a prominent Aussie mum and take you through her day. This week we talk to former olympian Elka Whalan (formerly Elka Graham). 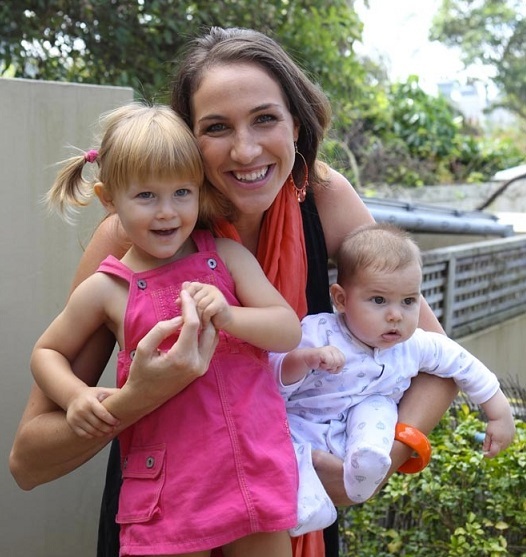 Aside from her successful blog and media career, Elka is now a mother-of-two and is married to four-time Olympian Waterpolo player Thomas Whalan. I am a MASSIVE morning person and I love starting the day right. I wake up any time from 5.40am-6.20am without an alarm. A sleep in for me is 7am. Most mornings I am up immediately and out the door to exercise. Breakfast is porridge, then maybe scrambled egg whites with avocado, or it could be beans. I love eating healthy food. I need the right fuel to function for the day and start off in the right way. I also love making fruit juices with fresh mint, strawberries, watermelon, whatever is in the fridge, in it goes to the blender and bingo! I&apos;m a shower person after the gym but when I can I indulge in a bath, usually when the bubs are both asleep at night so there are no interruptions. During the week I try to have a bath with both our bubs it’s so much fun in the tub together. I always start the day in exercise gear. I try to sneak out before they wake up either to go for a run or the gym. Once home it’s a quick shower and then boom - slim jeans and a comfy top with my hair pulled back. I don&apos;t give much thought to what I&apos;m wearing; my wardrobe is organised so everything is reachable. I dress according to the weather and what we have planned for the day. And I love bright scarves, they dress anything up! I&apos;ve worked in media for the past three years with the Channel Seven Morning Show and just this year started on Sunrise. I&apos;m in there twice a week. The timing works brilliantly as I&apos;m normally home by 10am and my husband looks after our children. As my hair and makeup is done, I feel fab then I slip into mummy clothes and no matter what I wear I feel great as my hair and face is professionally done ha. I do a lot of hosting and speaking engagements with all different types of companies. The variety in my week makes working in the media so much fun. I blog weekly through my website elkawhalan.com. It’s been seven years since making the switch from professional swimmer to media and I love working in TV and media. Everyday I&apos;m meeting new people. My days are always different. Last week was a shoot from 5am-2pm for a new campaign. I had to sneak out of the house whilst everyone was still sleeping. I am extremely conscious of what I put into my mouth. Since becoming a mother I need constant energy for our two very young toddlers. I eat about six or eight small meals a day and include lots of water, fresh fruits, a tonne of nuts and nice stir fries. I am very blessed as my husband loves to cook as well so we share this. On the go I&apos;ll make wraps with avocado, lean turkey and some salad. I do love cheesecake though! Working out is a necessity for me. It&apos;s the time I have just for ME - not being a wife or mother. For an hour I run, power walk, go to the gym, do ballet, swim...I&apos;m up for anything but regardless I do something every day. Exercise is my healthy addiction for both my body and my mind. Our children are still very young. They love watching me on television - so my hubby tells me - and then when I come home will tell me they saw me. Apparently their little faces light up. We have told them that mummy and daddy go to work because we love it. We let our eldest daughter know that work is fun and we enjoy it...using it as a positive word rather than a negative. Honestly I love what I do! I cook for our children and will sit with them through dinner. We are just realising the importance of all being at the table together. It’s how they develop healthy eating habits; at the table and all together watching and learning. Easier said than done sometimes though. Our baby boy is just now refusing to sit in a high chair and our girl Nevada likes to eat and then wander around so we are practising very hard at being still and staying seated til they have finished their food. They eat around 6pm and we will eat once they are asleep round 7.30pm. We don&apos;t have a set-in-stone routine but once dinner is over they might be allowed to watch their favourite Disney movie whilst they drink their milk and then we read them a story. We love reading books to them. I always say I&apos;d rather be a happy mother than a tired mum who is short of patience. We have help and I&apos;m happy to say so. It’s what works best for your family. We have a wonderful nanny for half a day on Tuesday and half a day on Friday. This allows me to either have special time one on one with each bub or have time to shop, pay bills, go to the post office, spend quality time with a girlfriend, have meetings and normally I plan my work around those days. Our nanny is just amazing. She loves the children and they love her. She is a blessing in our family. My mother is also amazing as are all our family members on both sides. Whenever we go away our family members will look after them. Thomas and I try to go to bed together each night. We aim for around 10pm. 8 to 9 hours is brilliant for me. I totally value and cherish my sleep. During the week when the bubs go down for their one big sleep and I need one, I&apos;ll happily take one, guilt-free. I&apos;m not ashamed to say I mummy-nap. I wake up refreshed and look forward to the afternoon&apos;s activities with the children. I love to read as well but I&apos;m often only a couple of pages in before I start snorning. It’s the elusive answer everyone wants to know: time management. You have to work out what works for you and your family. I have the bowls out for breakfast the night before. Once they wake up we will dress them in their clothes for the day straight away as opposed to keeping them in their night clothes. I keep a notepad and pen in my drawer next to our bed and will lists of things that need to be done for the day and I tick them off as we go. Children just want your time and undivided attention. We are in a phase of playing with building blocks, hide and seek, painting, cutting, dancing and imaginary playing. We cherish it all. Plan your days from when you wake up - bubs love a routine. We visit the zoo every second week, on Wednesdays we go to the library and Fridays we go to dance class. I look forward to their activites just as much as they do. We are all super mums. Just keep being the best you possible, feel confident in your parenting abilities and trust me, your children feel all the happiness and radiance surrounding them. Elka Whalan has successfully made the transition from elite athlete to media personality. Elka is a regular member on Channel Seven&apos;s Morning Show and has just started on Sunrise as one of &apos;Kochies Angels&apos; where she is seen every week live discussing news and lifestyle topics. Elka&apos;s stellar swimming career from 2000 until 2006 came complete with an Olympic Silver medal, World Championships, Commonwealth games and World cup medals. Elka is active in media and on speaking circuit and has her own blog at elkawhalan.com. Sally Obermeder: "It&apos;s a tough balancing act as a parent"
Jackie O "My daughter loves to pretend that she works too"
Amanda Kellar "I have help and I choose not to feel guilty"
Lindy Klim "Two of my kids are fantastic eaters but my son is shocking"
Rebecca Judd "Gone are the days when I wear heels"
Lisa Williams "How I teach my son not to be afraid"
Miki Field "When Anthony is home, it is a little more chaotic"
Angali Rao "Dinner time with my son drives me to my wit&apos;s end"